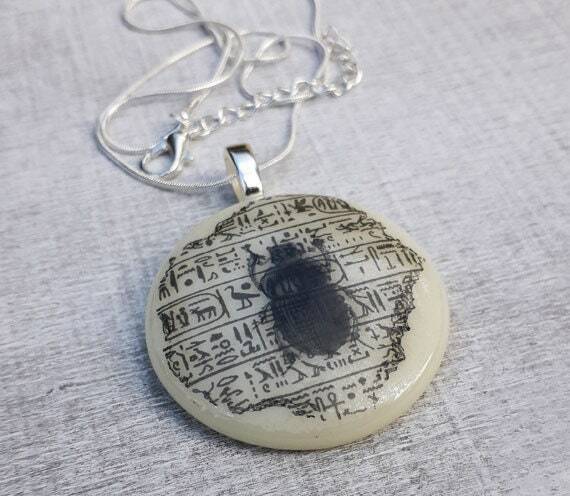 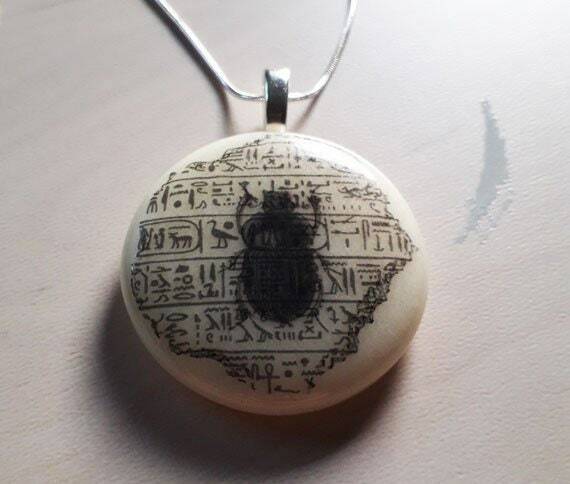 Fused glass pendant with scarab and hieroglyphs print in blacck on cream coloured glass. 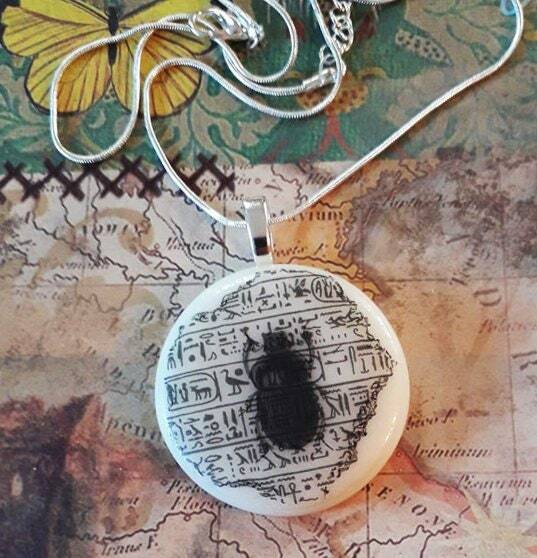 This is a largeish fused glass pendant, made from a light cream coloured glass. 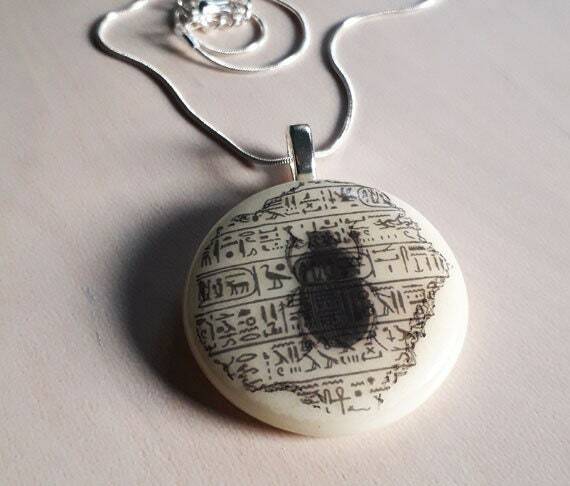 It has two prints fired onto the glass - a broken-edged hieroglyphs design, overlaid with a black scarab illustration. 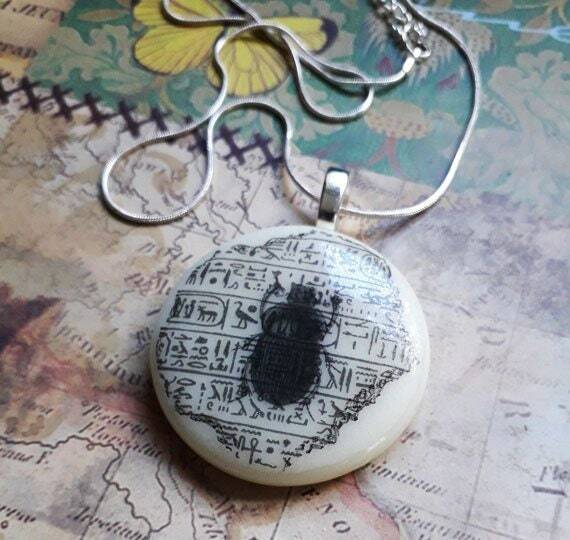 It's about 37mm diameter and hangs on a silver leaf bail and a silver snake chain.